IDEaS (Innovation for Defence Excellence and Security) is an access-to-innovation program conceived to augment the current defence R&D programs by a) increasing awareness of DND challenges in the innovation ecosystem to build capability, b) incentivizing innovators to steer their collective efforts toward the most difficult problems, and c) providing innovators the opportunity to demonstrate how their ideas might enhance defence capabilities. Each of the eight elements in the IDEaS program design provides a means of engaging and fostering innovation beyond what is currently done. Driven by the vision of creating new ways of engaging the best minds in the country, the program principles were aligned to seek fulsome collaboration of multi-disciplinary teams, to fail fast/learn fast, to seek the hardest problems because they generate the most creative ideas, and to lower administrative burden to engaging others where possible. The vision to create a suite of access-to-innovation tools which would provide a full-spectrum means of engaging innovators was followed all along the development process. Working within the existing organizational structure and policies, numerous innovative new mechanisms were developed including: ideation sessions for multi-disciplinary discussion of challenges and solutions, networks to proactively build capability and encourage collaboration, the strategic exchange of expert personnel, low administrative burden submission process for templated contracts, monetary incentives for the demonstration of systems concepts, direct engagement of operators with innovators to demonstrate solutions, and the provision of experts’ advice on where an innovation might best serve in building a defence capability. The result is an unprecedented means of access to Canadian innovators and ways of encouraging them to steer their efforts to ensure that DND capability remains at the fore. The IDEaS Team was selected as Vanguard’s latest Game Changer. 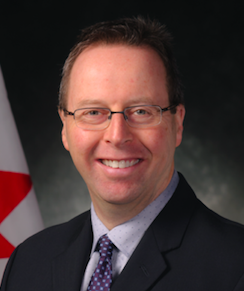 Here is the full interview with Eric Fournier, Director General for IDEaS, representing The IDEaS Team at the Department of National Defence. How is the IDEaS program going to “change the game” within government and industry? As an augmentation to ADM(S&T)’s successful internal research program and extensive collaboration with allied nations, IDEaS seeks to improve the access component of the research program by targeting traditional and non-traditional innovators to offer their solutions toward the toughest defence and security challenges. What are some of the challenges in working with academics, industry and other partners in creating leading-edge research and development for future defence needs? Each of these domains – and we would include individuals in this list – have deep expertise and capability that we are hoping to steer toward our needs. With our process of making our needs broadly known and accessible through challenges, we are hoping that innovators will seek each other out and form collaborations and partnerships toward improved submissions. What are some of the most significant impediments to innovation that the IDEaS team sees within government and industry? 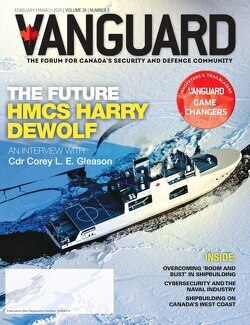 Innovation is happening everywhere, and IDEaS recognizes that everyone needs to know that the defence and security sector is accessible to them and that their solutions can be of value. We are being very proactive in helping innovators understand that their expertise is welcome and that we have challenges across all parts of our operations that would benefit from them turning their expertise toward our issues. What are some of the challenges to innovation today, and what steps are being taken to overcome them? Awareness that DND challenges are actually accessible to all innovators appeared to be a barrier and something that we wanted to overcome. We are using plain language to explain the challenges in order to encourage a wider range of innovators to help solve them. We believe innovators will easily see that their expertise and current work may be an important part of a solution. What technologies, business models, and trends does the IDEaS team believe will drive the biggest changes within defence over the next two to five years? The trends IDEaS has sought to embrace are fourfold. Firstly, wherever possible, we have sought to make our business processes – such as accessing the challenges and submitting proposals – as light a burden as possible. Secondly, we are embracing the fact that multi-disciplinary teams and diversity of opinions from both traditional and non-traditional players will bring rich solutions. Thirdly, for any specific challenge, we may start multiple efforts at the same time based on what has been proposed, and we will continue to foster those that show promise. Finally, we have learned that posing the challenges in terms that describe the need in an abstract form allows the most creative solutions to be proposed. What steps does the team plan to take to ensure that all innovative solutions and ideas will receive the same level of testing? The process for IDEaS has been designed to ensure that all the proposals would be managed the same way, through a fair and transparent evaluation process. This statement applies equally to SMEs, large firms, academia, etc.…, and for any element of IDEaS, from Competitive Projects to Sandboxes. What factors will differentiate the promising innovations to be streamlined for future procurement against the ones that will not? Transparent and fair evaluation processes have been designed for the various IDEaS elements, and will be applied to differentiate between the funded and the unfunded solutions. Some of the selected criteria include scientific and technical merit, novel and innovative solutions, impact, approach, investment viability and operational relevance. When can we expect the first innovation through the IDEaS program to be procured by the military? IDEaS will influence what DND might buy in the future by providing multiple viable solutions to the toughest challenges. Through the process of innovation in IDEaS, there are elements which foster capability, support the development of fulsome solutions, and provide opportunities for those solutions to be demonstrated and evaluated. Procurement of a solution will follow the conventional processes for acquisition.